Patience and a smile are major assets for a personal assistant. Being a personal assistant has -- thankfully -- evolved from the days of "Honey, come take a letter." While you still need to be well-versed in basic administrative skills such as phone communications and business correspondence, a good personal assistant does so much more. You'll need top-notch communication, time-management and interpersonal skills along with strong multitasking prowess. 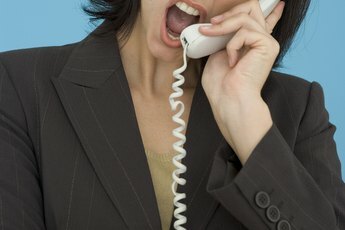 To be an effective personal assistant, you should know your boss almost as well as she knows herself. Your boss will be impressed when you stay one step ahead of her at all times, anticipating what she wants done and keeping her organized and on schedule. Learn what your boss expects. The better you know her, the better you'll be able to anticipate what she wants done and how best to structure your time. Talk to her directly to ensure that you know how she wants you to organize her schedule and handle her correspondence. Find out whether she prefers hard copy or electronic memos, for example, or morning or afternoon meetings. And the sooner you pick up on her quirks or pet peeves, the better. You will score big points by making sure to have items such as her favorite kind of tea available when she's stressed and rushing to meet a deadline. Stay organized. Keep your work spaces and files neat and organized. Ensure that everything you need to do your job is readily available. Increase your efficiency and responsiveness to your boss by keeping phone numbers, company stationery and other basic items within quick reach. Look the part. As a personal assistant, you're an extension of your boss and the image she wants to project. Even if your duties are largely administrative, dress professionally and in a style in keeping with that of your boss. This doesn't mean you have to copy everything she wears. It does mean that if she's a buttoned-down, conservative banker, leave the neon jewelry, T-shirt tops and casual pants at home. Show that you are trustworthy and discrete. You're likely to be entrusted with important private or confidential information, and your boss needs to feel confident that you won't reveal any of this information to others. Don't get caught up in office gossip or let yourself share tidbits of information with friends just because you have an inside line to what's going on. 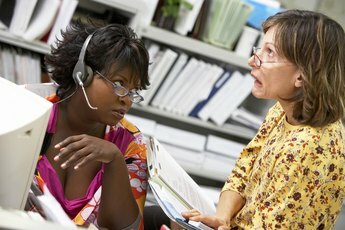 Stay current on office phone and computer technologies, and take advantage of opportunities to upgrade your skills or learn new systems.